20 inches in length. Far eastern Arabian scale. Built from cured Chinese bamboo which is shipped to my workshop. I select the pole, cut the length, complete the bore and burn with a selection of burning rods. After the washing out process, the bore is colored in deep red. Black hemp bindings are added. 440Hz tuning. 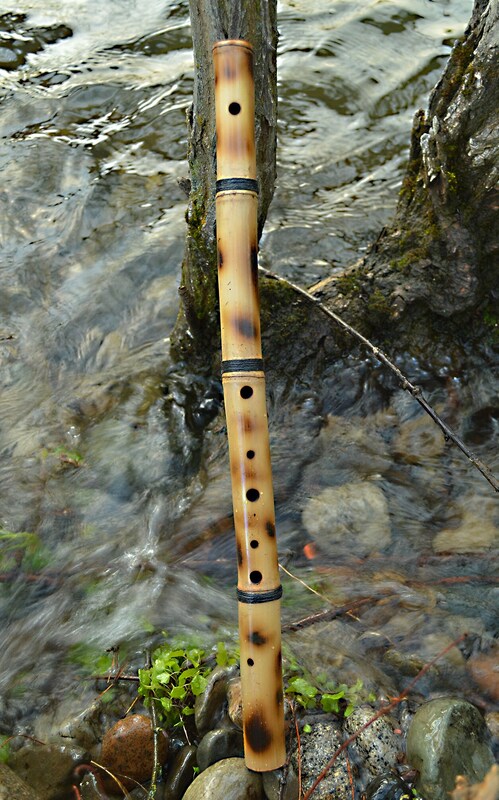 The flute usually keys out to E with an Arabian scale E F G G# B C E. Usually plays a 1 - 3 octave range. 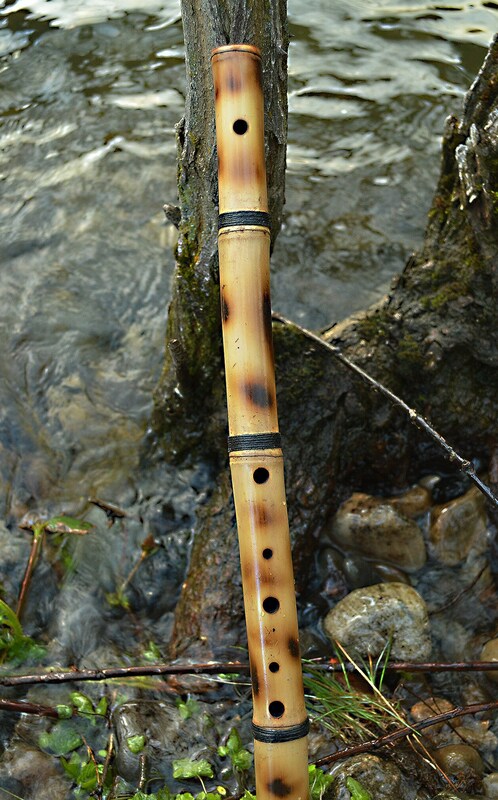 This is one of my favorite flutes to play ... the Arabian scale is amazing and meditative, far eastern. 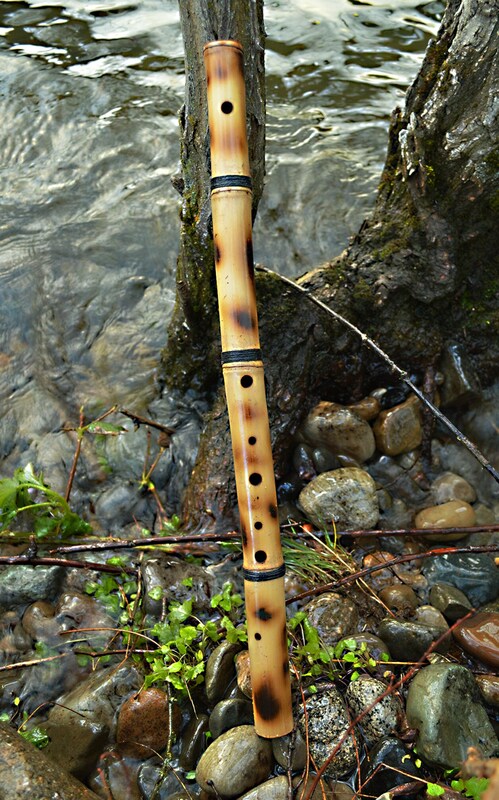 Definitely one to purchase for your practices and flute collection! Enjoy free USA shipping now!